This Welcoming Week, taking place Sept. 15–24, 2017, the YMCA of Florida’s First Coast will join Welcoming America and hundreds of YMCAs and other organizations nationwide to celebrate immigrants’ contributions to communities and bring together all residents in a spirit of unity. During Welcoming Week, all First Coast YMCAs will be open to the entire community. The Y has a long history of welcoming and engaging immigrants – from launching the nation’s first English as a Second Language class in 1856 to providing aid to thousands of new arrivals at Ellis and Angel Islands in the early 1900s. We believed then as we do now, that offering our newest neighbors the support and care to thrive creates stronger, more connected communities for all. With more than 42 million foreign-born individuals living in the United States today, the Y is committed to strengthening community by fostering an environment that encourages successful immigrant integration and social cohesion. Welcoming America is a non-profit, non-partisan organization that is leading the growing movement of inclusive communities nationwide. They provide partners and communities with the guidance, resources and support to foster a culture and policy environment that makes it possible for newcomers to feel valued and to fully participate alongside their neighbors in the social, civic, and economic fabric of their adopted hometowns. Learn more at https://www.welcomingamerica.org/. As you know, the city of Houston has been devastated by unprecedented flooding from what is now Tropical Storm Harvey. The YMCA of Greater Houston is responding with their Emergency Preparedness plan and working with the City and Emergency Services. At the request of city officials, the YMCA is opening shelters in the Houston area. So far, because of extreme conditions, they’ve only been able to open 2 shelters but are working to open 8. The Greater Houston YMCA is accepting donations on their webpage to assist with the emergency. If you can help, please make a donation and circulate to others in our YMCA family. To support the critical need of swim safety and drown prevention in Florida, the First Coast YMCA announced today a donation of $100,000 from health care leader Florida Blue. The support will provide free water safety lessons for hundreds of children on the First Coast. It is a program the Y is able to offer for free based on children/schools eligibility in the free/reduced lunch programs. This program is funded through grants, partnerships and our Annual Fundraising Campaign. As a leader in water safety and swim instruction, the Y’s Safety Around Water program is designed to teach children how to reach the water’s surface if submerged, safely reach the edge of a pool, exit any body of water and respond to unexpected water situations. Research shows that participation in formal water safety and swim lessons can reduce the risk of drowning among children 1 to 4 years of age. In recent years, Florida Blue has contributed more than $700,000 to support various YMCA initiatives across the state of Florida, and has stayed actively involved in improving overall health and wellness for people of all ages and backgrounds. Here on the First Coast, the company also played a significant role in helping the Y open the Florida Blue Wellness Center at the Winston Family Y along with the Healthy Living Center, a comprehensive resource for all local residents to receive programs that address health concerns in surrounding neighborhoods. 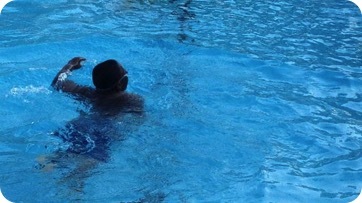 The YMCA has offered swim lessons on the First Coast since the 1950s. Safety Around Water is offered at all pools at all First Coast YMCA locations, plus the Galimore Center and Calhoun Center pools in St. Augustine. This article was first published on Jacksonville.com on July 5, 2017. This month, Eric Mann is celebrating his six-year anniversary as the president and CEO of the YMCA of Florida’s First Coast. From day one, he has set out to strengthen this community by pursuing his vision to make the Y a total wellness resource for the entire First Coast. Mann says the Y is a nonprofit like no other because of its ability to connect people of all ages and backgrounds to bridge the gaps in community needs. He strongly believes in the power of community collaboration. In fact, it has played a crucial role in his plan to change lives on the First Coast through one of the Y’s key mission areas—healthy living. Brooks Rehabilitation was the Y’s only medical partner when Mann came on board in 2011. Under his leadership, the Y successfully formed new community partnerships with various organizations committed to improving the health and well-being of all Northeast Florida residents. The Y Healthy Living Centers are a direct result of this commitment. Healthy Living Centers bring programs, services and professionals from Baptist Health, Brooks Rehabilitation and Florida Blue into the Y, making their services more accessible to the surrounding community. The Healthy Living Centers are available at the Ys in Mandarin, Northside, Northwest Jacksonville, Riverside and Ponte Vedra. As a nonprofit, the Y relies on generous gifts of time, talent and treasure to deliver on its promise to strengthen community. Donations ensure that everyone, regardless of age, income or background, has the opportunity to learn, grow and thrive. Mann gives high praise to the Y’s strong volunteer leaders like Newton and Bryan for their full and enthusiastic support. He says they play a vital role in realizing the promise of the Y’s mission and cause, including expertise and guidance in developing a strategic plan. The strategic plan defines how the Y will address some of the key issues facing the First Coast community, including chronic disease and obesity. Strategic planning also ensures the Y has the collective capacity to achieve its goals in all three areas of focus. In addition to healthy living, the Y is equally dedicated to youth development and social responsibility. Through programs like Before and Afterschool Care, YMCA Reads! and Youth in Government, the Y is working to nurture the future success of children and teens, specifically closing the achievement gap. “The Y is far more than a gym and swim. All of its programs and services showcase the Y’s unwavering commitment to the Jacksonville community through education, wellness and quality out-of-school time,” Mann said. Safety Around Water (SAW) addresses another critical community issue: child drowning. This free drowning prevention program developed by the Y is delivered to at-risk children and all YMCA summer campers. Mann takes this to heart because he knows the program saves lives, especially in a community like ours that is surrounded by water. “Any youth-serving organization should put the safety of young people as its top priority,” says Mann. 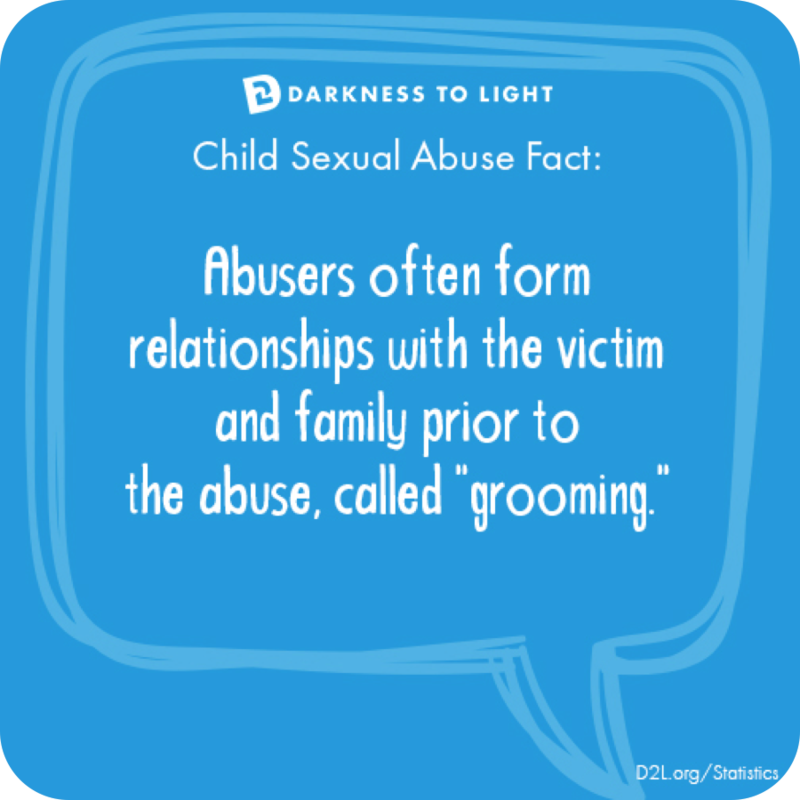 Darkness to Light, a childhood sexual abuse prevention program, is another initiative that has expanded its impact in Jacksonville under Mann’s direction. The Y has partnered with other local agencies to form the Northeast Florida Stewards of Children Coalition to eliminate childhood sexual abuse in Northeast Florida. 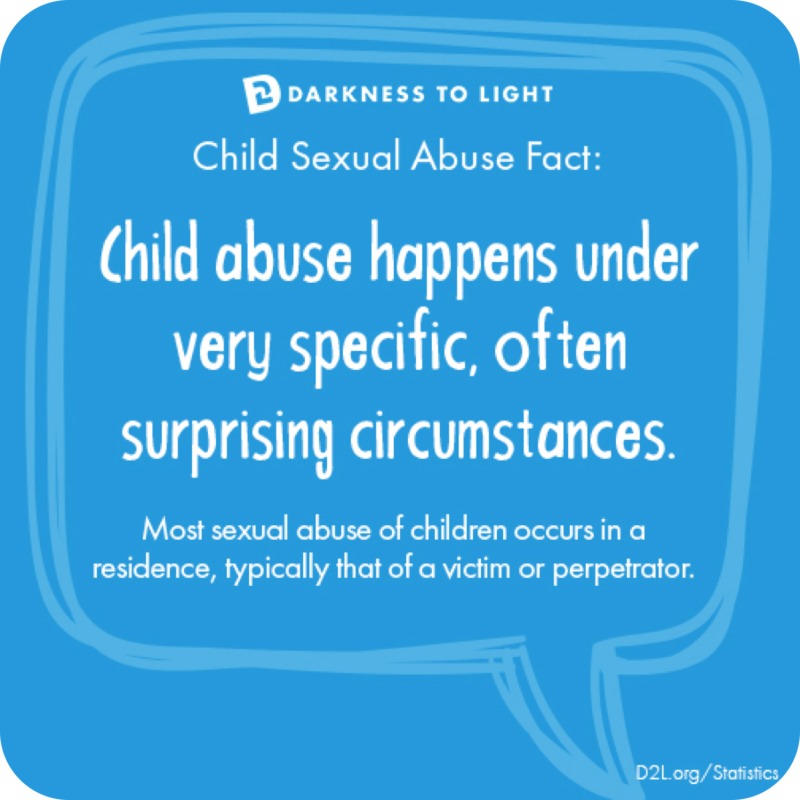 The goal is to build a preventative movement that overwhelms the size of the problem, empowering an unprecedented number of people with the skills and knowledge to protect children through the Darkness to Light (D2L) Stewards of Children child sexual abuse prevention training. In the last three years, the Y has also experienced double-digit growth in the number of kids served in its summer camp and before and afterschool program. By integrating fun and educational activities into the curriculum, the Y has helped prevent summer learning loss and increase math and reading test scores among local youth. In 2018, the Y will celebrate 110 years of nurturing the potential of kids and teens, improving individuals’ health and well-being, and providing support to our neighbors on the First Coast. Mann credits generations of the Y’s staff and volunteer leaders determined to make the Bold City better FOR ALL. Tiger Academy, the YMCA of Florida’s First Coast charter school, was recently named a ‘B’ school by the Florida Department of Education. Additionally, Tiger Academy was within one percentage point of the Department’s grading scale of receiving an ‘A’ rating. Average 2017 Florida Standard Assessment (FSA) scores for Tiger Academy students jumped from 40 points to 53 points in reading, representing a 75 percent increase from 2016. Math scores grew from 37 points to 58 points, a 63 percent increase. Tiger Academy is a free public charter school located in Northwest Jacksonville. It is operated by the YMCA of Florida’s First Coast. Through a unique partnership with the Johnson Family YMCA, Tiger Academy’s students enjoy enrichment opportunities and benefit from family support services. To learn more about the Y’s Tiger Academy, visit YMCATigerAcademy.org. McKinley and MoRonica Ravenell moved to Fernandina Beach from Mississippi with their oldest son Camaron 13 years ago. Now living in Florida, they realized how much Camaron loved water – no matter if he was in the pool or just the bathtub – he was always splashing. 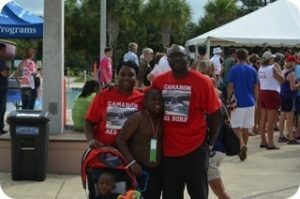 When he was 5 years old, his parents decided it was time for Camaron to learn how to swim so they took him to the McArthur Family YMCA. Michelle was right. Camaron continued to improve and eventually earned a spot on the McArthur Sailfish swim team winning 1st, 2nd, 3rd and 4th place ribbons at swim meets. He now competes with the McArthur Flyers and Special Olympics swim teams where he has won five medals including gold. 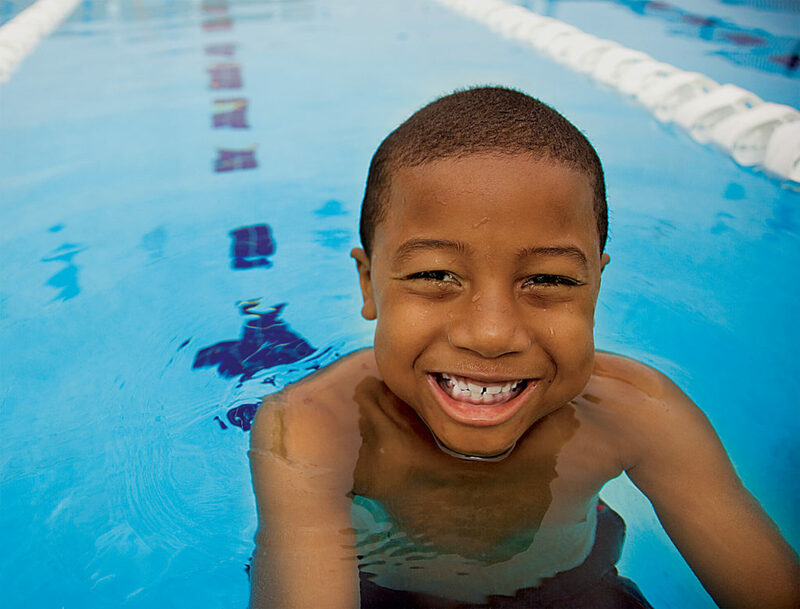 In addition to reducing their risk of drowning, children who take swim lessons and participate in the Y’s Safety Around Water program also become confident in and around the water so like Camaron, they too can feel the sense of accomplishment that comes from learning new skills. With your help, the Y hopes to provide free swim instruction to 5,000 at-risk children on the First Coast. Please consider the following gift amounts: $60 to sponsor one child, $600 to sponsor 10 children or $1,200 to provide lessons to an entire classroom! 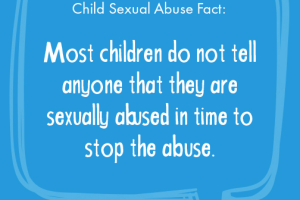 Child sexual abuse is one of the most prevalent, most hidden risks that kids in our communities face. 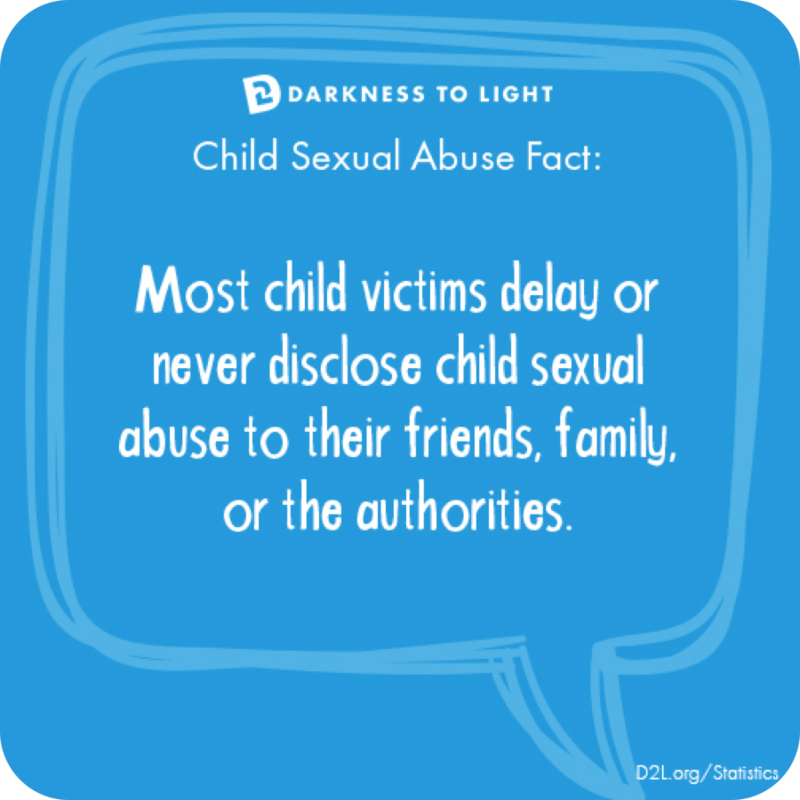 1 in 10 children will be sexually abused before they turn 18 in the US, and still too few people know about the extent of this problem, and what all of us can do to keep kids safe. April is Child Abuse Prevention Month and we invite you to join us to raise awareness about child sexual abuse prevention. The facts are shocking. But we can work together to prevent it. 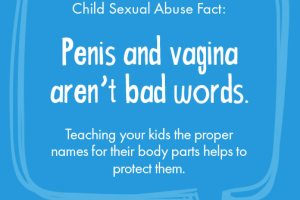 The YMCA of Florida’s First Coast has partnered with other local organizations to create the Child Sexual Abuse Prevention Coalition. 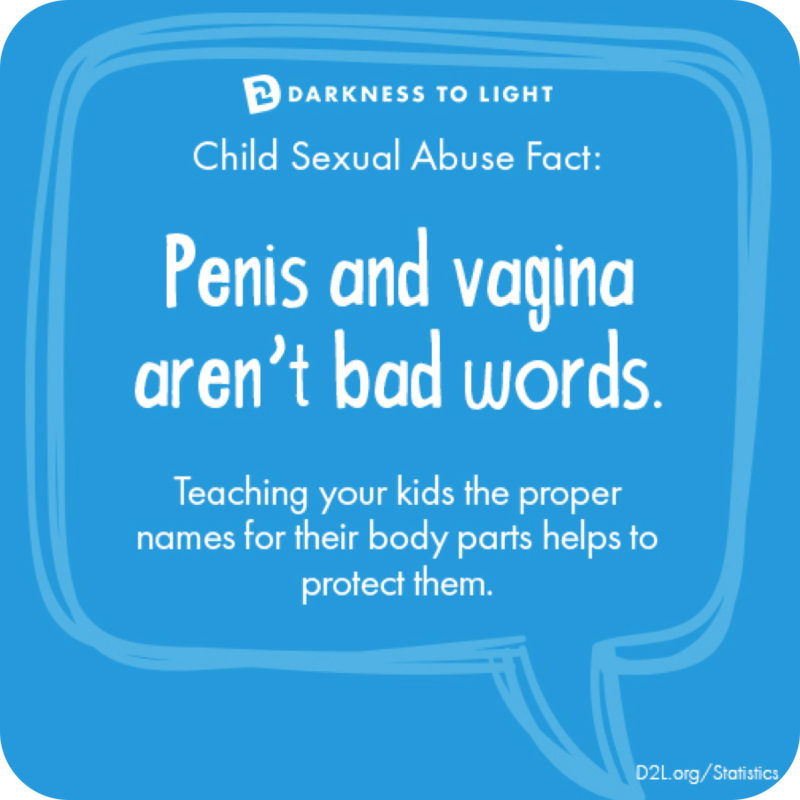 Our goal is to train 50,000 adults through the Darkness to Light Stewards of Children child sexual abuse prevention training. It is the only nationally available program scientifically proven to increase knowledge, improve attitudes and change child-protective behaviors. 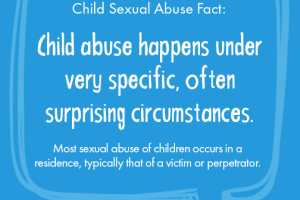 Appropriate for any adult, this training will teach you how to prevent, recognize, and react responsibly to child sexual abuse. Training is available online and in a classroom setting. 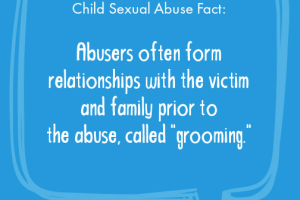 Join us today in STOPPING child sexual abuse. In the United States alone, diabetes affects nearly 29 million people; another 86 million Americans have prediabetes, yet only about 10 percent are aware of it. These statistics are alarming, and the impact on the cost of health care makes preventing the number of new cases of type 2 diabetes more important than ever before. Type 2 diabetes is diagnosed more often in adults, and type 1 diabetes is diagnosed more often in children, but the rates of type 2 diabetes are increasing rapidly for both adults and children. In 2012 alone, the American Diabetes Association estimates that diabetes cost the health care system $245 billion. The nation’s struggle with obesity and type 2 diabetes is no surprise but the number of people with prediabetes is a growing issue, especially when so few people realize they have the condition. Prediabetes is a condition in which individuals have blood glucose levels that are higher than normal, but not high enough to be classified as diabetes. Often preventable, people with prediabetes can reduce their risk for developing type 2 diabetes by adopting behavior changes that include eating healthier and increasing physical activity. People with prediabetes are at risk for not only developing type 2 diabetes, but also cardiovascular disease, stroke and other conditions. Tuesday, March 28, is American Diabetes Association (ADA) Alert Day®, and it’s important that you know your risk for prediabetes and type 2 diabetes, as well as preventive steps you can take today to reduce the chances of developing the disease. As the leading community-based network committed to improving the nation’s health the First Coast YMCA encourages all adults to take a diabetes risk test. Several factors that could put a person at risk for type 2 diabetes include family history, age, weight and activity level, among others. The First Coast YMCA is helping people make healthier choices that can help reduce the risk of developing prediabetes or type 2 diabetes with YMCA’s Diabetes Prevention Program classes in April and May. Reduce portion sizes of the foods you eat that may be high in fat or calories. Keep a food diary to increase awareness of eating patterns and behaviors. Be moderately active at least 30 minutes per day five days a week. Choose water to drink instead of beverages with added sugar. Incorporate more activity in your day, like taking the stairs or parking farther away from your destination. Speak to your doctor about your diabetes risk factors, especially if you have a family history of the disease or are overweight. March is National Nutrition Month. With a balanced approach, even the busiest families can discover ways to eat healthier and feel better. 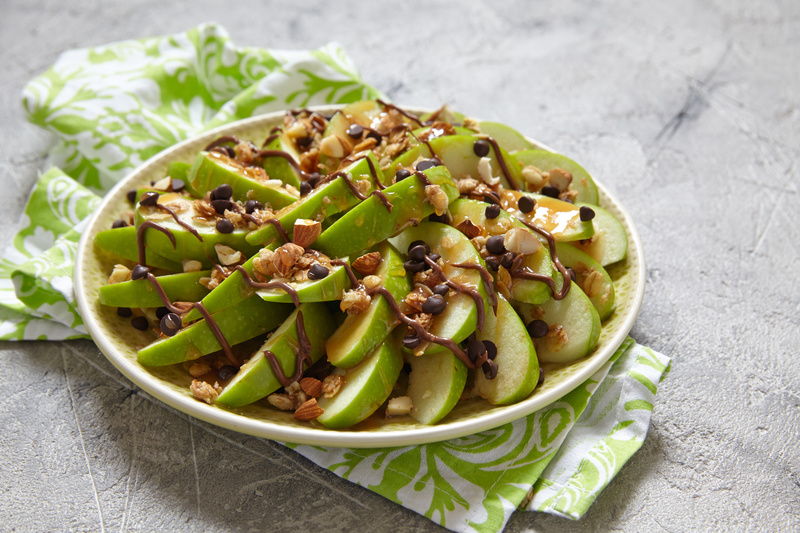 Here are some quick and easy recipes to try at home. Give your own heart a treat in February with two simple ways to prevent heart disease: monitoring your blood pressure and reducing sodium intake. According to the Centers for Disease Control and Prevention (CDC), heart disease is the nation’s number one killer. 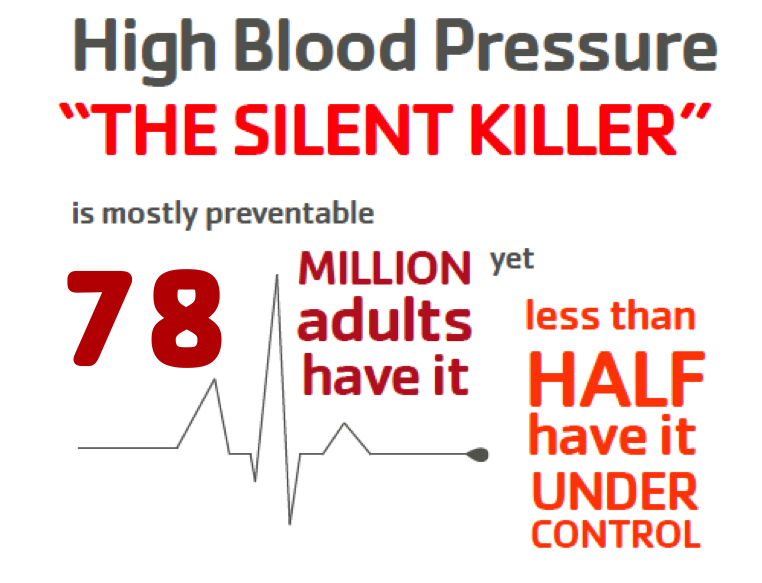 High blood pressure is most prevalent in minority communities, and is often referred to as “The Silent Killer” because there are typically no warning signs or symptoms. 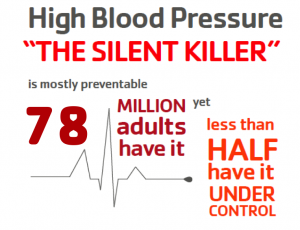 Research shows that the simple process of checking and recording your blood pressure at least twice a month over a four month period, along with regular physical activity, proper nutrition and reducing sodium intake, may lower blood pressure in people with high blood pressure. The YMCA of Florida’s First Coast is now offering a Blood Pressure Self-Monitoring program that helps adults with hypertension lower and manage their blood pressure. The program focuses on regular monitoring of one’s blood pressure at home using proper measuring techniques, individualized support and nutrition education in an effort to reduce blood pressure and improve their quality of life. DASH (Dietary Approaches to Stop Hypertension) seminars are also part of the program. These seminars will highlight the importance of practicing healthy eating habits. Participants of the Blood Pressure Self- Monitoring Program to measure their blood pressure with coaching for proper measuring techniques from a trained Healthy Heart Ambassador. For more information on the program, call 904-265-1810 or email prevention@firstcoastymca.org. Besides monitoring your blood pressure, reducing sodium intake is a great way to keep your heart healthy. According to the American Heart Association, too much sodium in your system puts an extra burden on your heart and blood vessels. In some people, this may lead to or raise high blood pressure. Everyone, including kids, should reduce their sodium intake to less than 2,300 milligrams of sodium a day (about 1 teaspoon of salt). Having less sodium in your diet may help you lower or avoid high blood pressure. In addition to programs and services offered in Northeast Florida, the Y offers the following tips from the United States Department of Agriculture (USDA) to help reduce sodium in your diet. Think fresh: Most of the sodium Americans eat is found in processed foods. Eat highly processed foods less often and in smaller portions—especially cheesy foods, such as pizza; cured meats, such as bacon, sausage, hot dogs, and deli/luncheon meats; and ready-to-eat foods, like canned chili, ravioli and soups. Fresh foods are generally lower in sodium. Enjoy home-prepared foods: Cook more often at home—where you are in control of what’s in your food. Preparing your own foods allows you to limit the amount of salt in them. Fill up on veggies and fruits—they are naturally low in sodium: Eat plenty of vegetables and fruits—fresh or frozen. Eat a vegetable or fruit at every meal. Adjust your taste buds: Cut back on salt little by little—and pay attention to the natural tastes of various foods. Your taste for salt will lessen over time. Additionally, keep salt off the kitchen counter and the dinner table and substitute spices, herbs, garlic, vinegar or lemon juice to season foods. Boost your potassium intake: Choose foods with potassium, which may help to lower your blood pressure. Potassium is found in vegetables and fruits, such as potatoes, beet greens, tomato juice and sauce, sweet potatoes, beans (white, lima, kidney), and bananas. Other sources of potassium include yogurt, clams, halibut, orange juice and milk.